Collect payments with a click of a button with Invoice Payments. Invoice Payments enables your customers to pay their bills instantly & securely online or over the phone. Fill out our short form and one of our Payments Experts will contact you to activate these features. What other product(s) are you interested in? The average business is owed more than £11,000 in late invoices. Which is no surprise given that 67% are still using paper invoices and can spend up to 20 hours per week chasing late payments. Collecting payments on time is critical for a business’ cash flow. With Sage Pay’s Invoice Payments options, you can get your invoices paid instantly online or over the phone – easily and securely. Send invoices through Sage One and Sage 50cloud with a 'Pay Now' button that allows your customers to pay for their invoices online. 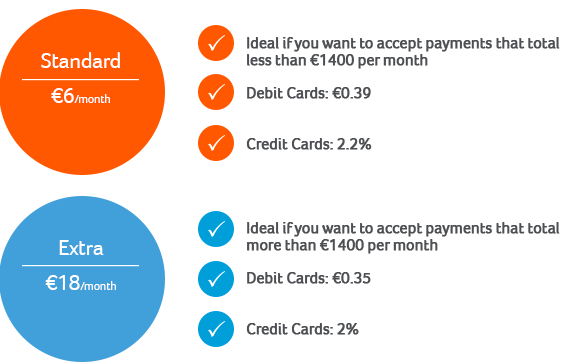 Accept all major debit and credit cards and PayPal to get your invoices paid faster. 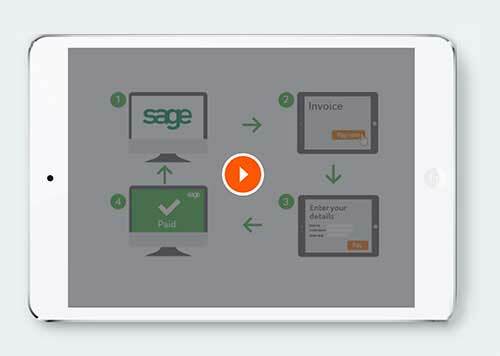 Automatically reconcile your invoice payments through a built-in connection from Sage Pay to Sage 50cloud.